The Snapchat co-founder and CEO makes a not-so-subtle appearance in this season’s first episode. While eulogizing the eccentric billionaire Peter Gregory, Spiegel quips: “That’s just the kind of guy he was—warm, generous, and not disappointed in Snapchat.” The remark is likely a reference to a comment made by Peter Thiel (the real life entrepreneur the Gregory is based on) who called Snapchat’s 2013 photo hack “especially problematic." 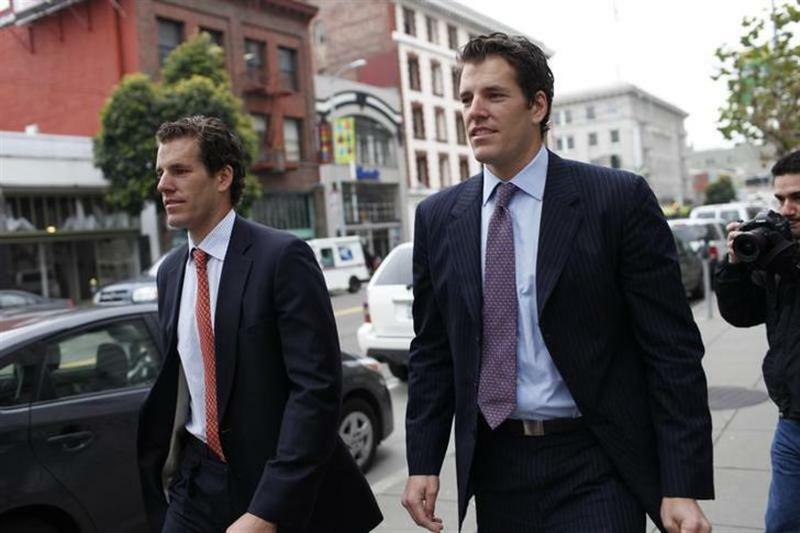 One of the more amusing cameos from the second season’s premiere, “Sand Hill Shuffle,” involved the Winklevoss twins of Facebook/Bitcoin fame. Erlich, the show’s resident Silicon Valley know-it-all, spots the Winklevi at a swanky party. “They’re like two genetically enhanced Ken dolls,” he says running after them. The Dropbox CEO makes an appearance at the same party, which, in the show, is thrown by a venture capital firm at AT&T Park, home of the San Francisco Giants. Though in the presence of Giants draft picks Tyler Beede and Skyler Ewing (more cameos!) the Pied Piper guys are more interested in (tech) giants like Houston. “We in technology have a greater capacity to change the world than the kings and presidents of even 100 years ago.” Unfortunately, that’s not a line from Rosenstein’s “Silicon Valley” cameo. It’s actually from his infamous 2014 TechCrunch talk, dubbed the “worst tech speech ever” by the tech news site BGR. Rosenstein has worked as an engineer at Google and Facebook, and created the communication app Asana. In the show he plays himself as a mourner at Peter Gregory’s funeral. The cameo-heavy episode is said to mirror Steve Jobs’ star-studded memorial service in 2011 . The co-executive editors of Re/Code, a news site that covers all things Silicon Valley, appear as themselves in the episode, “Bad Money.” Set at the Re/Code Code Conference, they interview the fictional bad guy Hooli CEO, Gavin Belson, as he compares the plight of Jews in Nazi Germany to the “plight” of billionaires in America. Another real tech journalist appears in episodes seven and eight of season one, at the TechCrunch Disrupt startup competition (also a real thing). A venture capitalist famous for his early participation in the technology boom also appears at the fictional version of the conference. The founder of TechCrunch pops up in the season one finale at the Disrupt conference. Arrington has spoken in favor of dropping out of college, kind of like Peter Gregory does in the show’s pilot episode (Gregory's real life counterpart does this too through his Thiel Fellowship). No, it wasn’t a geeky tech CEO or super-successful venture capitalist who made the first cameo in the series, but a bona fide rock star. Kid Rock performed at Schmidt’s fete... and no one actually cared. “Kid Rock is the poorest person here, apart from you guys!” Erlich tells his friends at the party. What’s more, the Kid’s proclamation before walking off stage, “f*** these people,” could arguably serve as a thesis statement for the entire show.